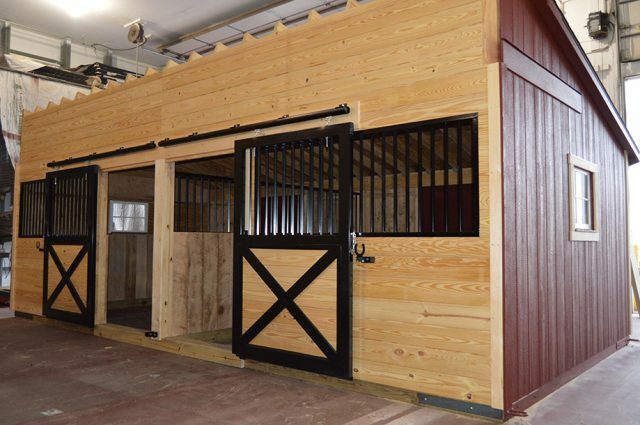 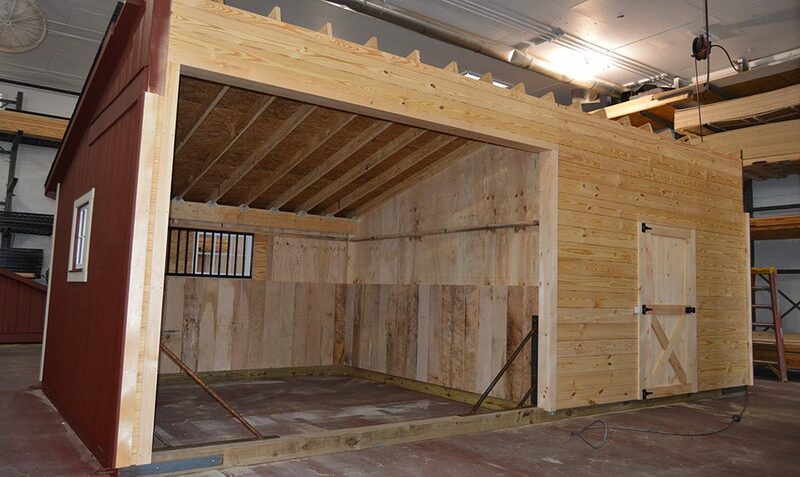 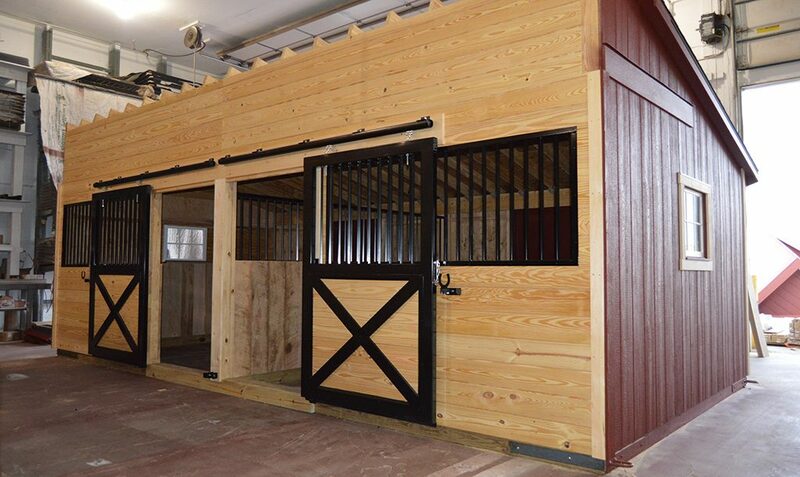 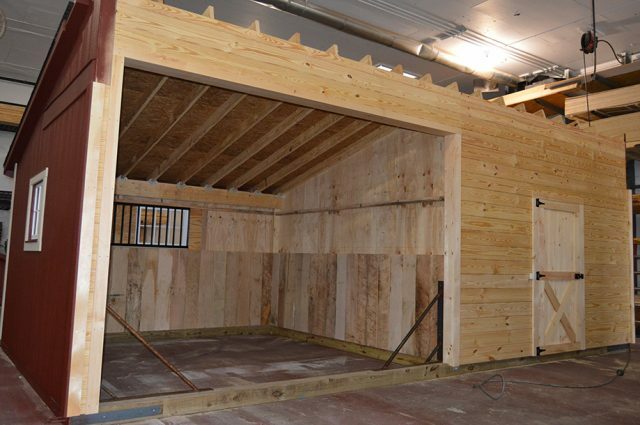 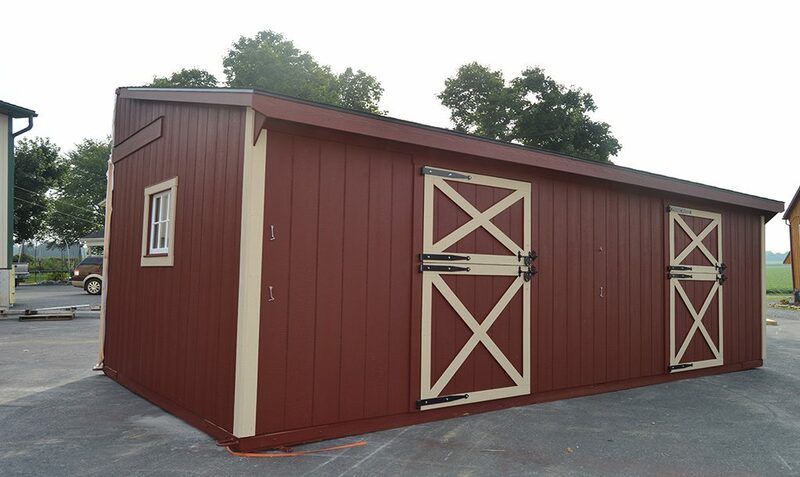 Trailside style barns are becoming a popular choice for landowners looking to gain more outdoor storage space. 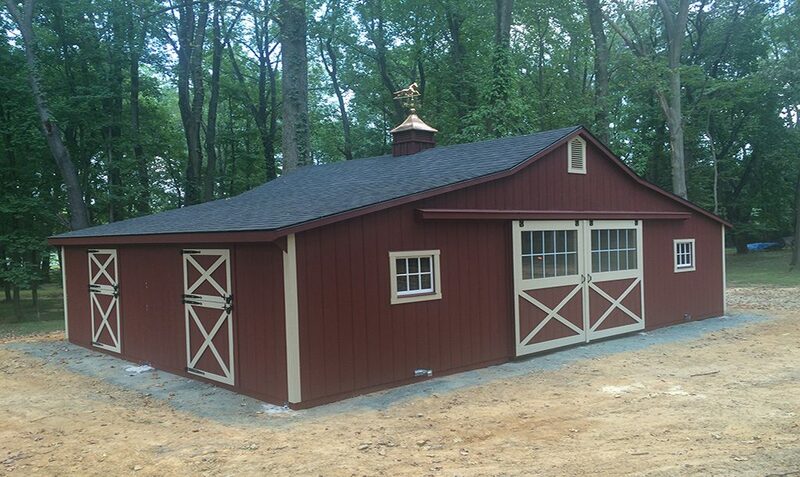 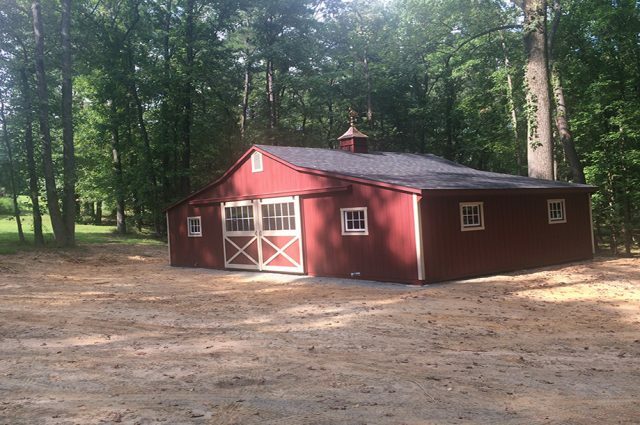 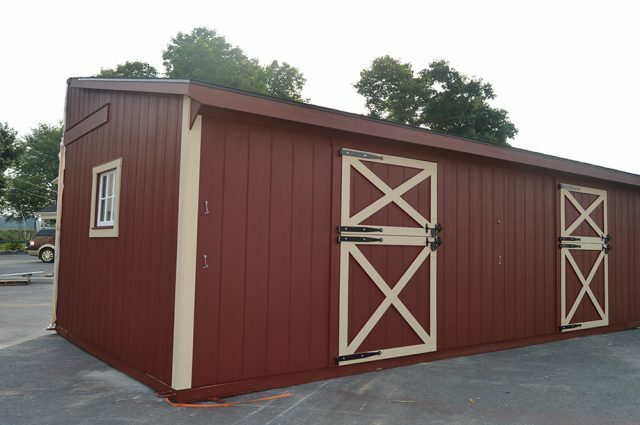 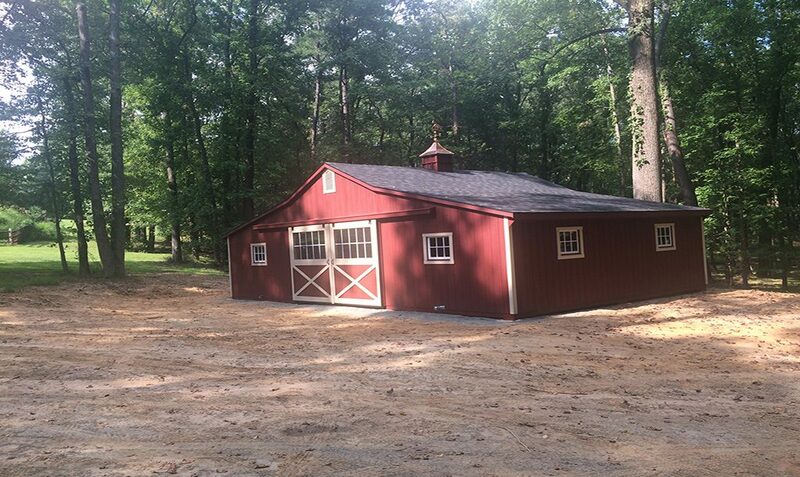 This is one we built in Maryland that features an exterior red paint, tan trim, and a raised peak roof. 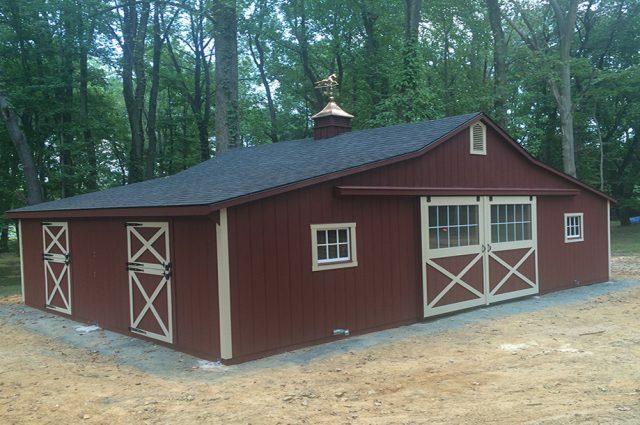 Custom options include dutch doors, windows in aisle doors, extra windows in the front, gable vents, and a cupola.